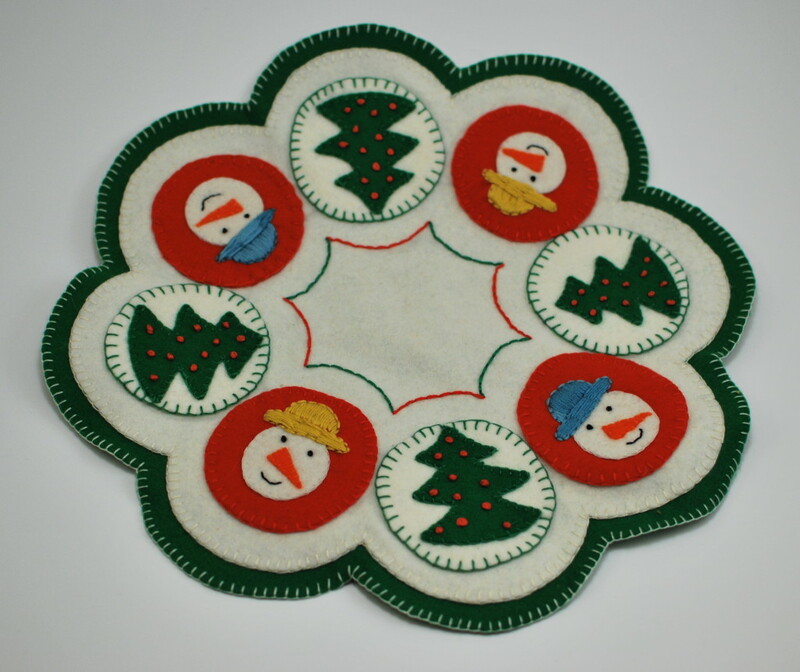 Christmas-themed felt penny rug. 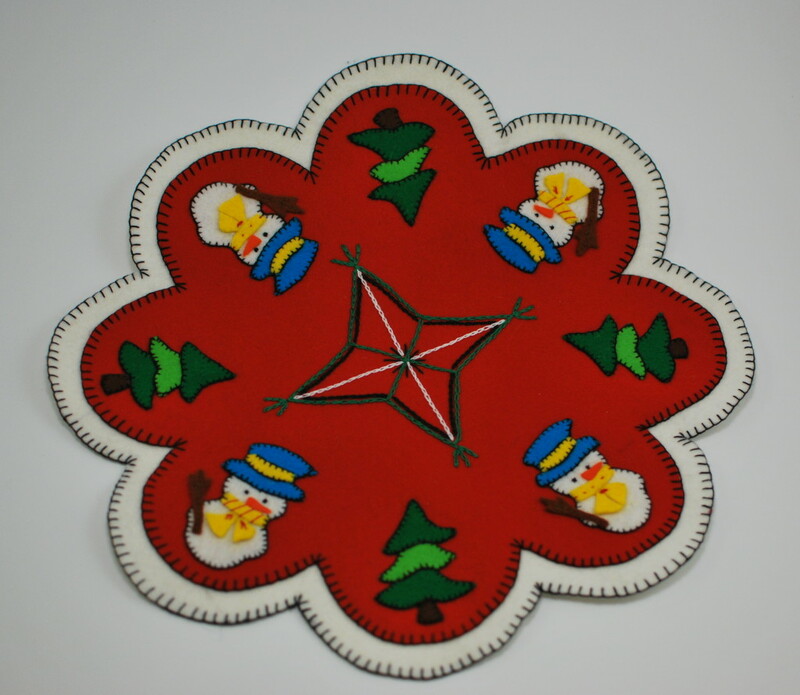 About 20″ in diameter. 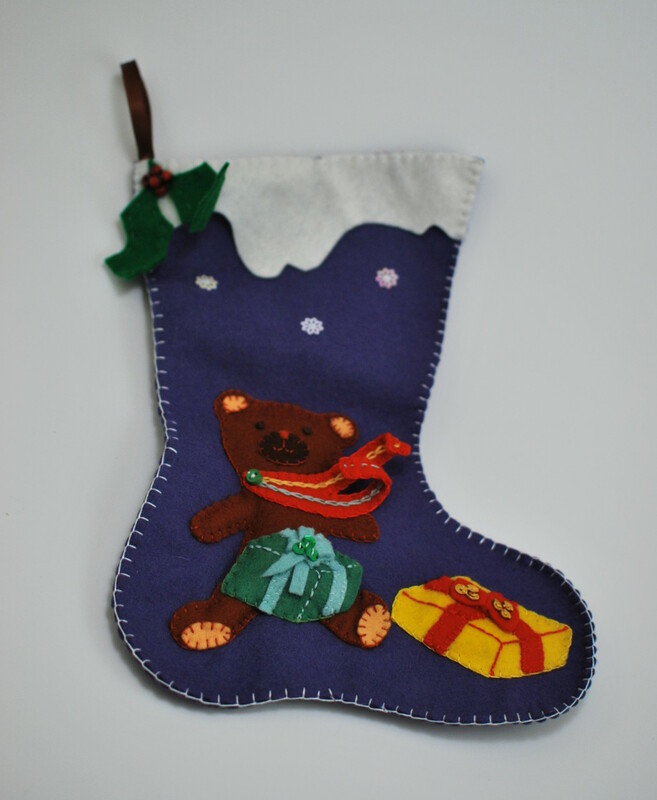 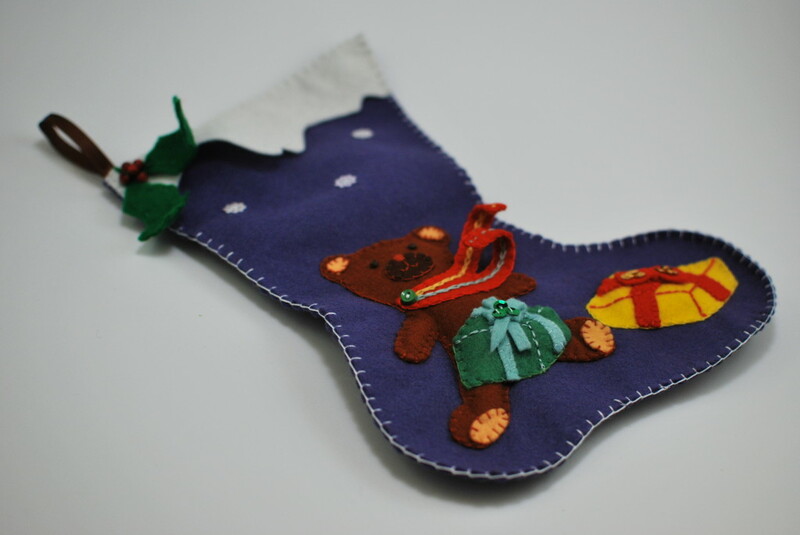 Felt Christmas Stocking – bear with a gift box, about 12″ high. 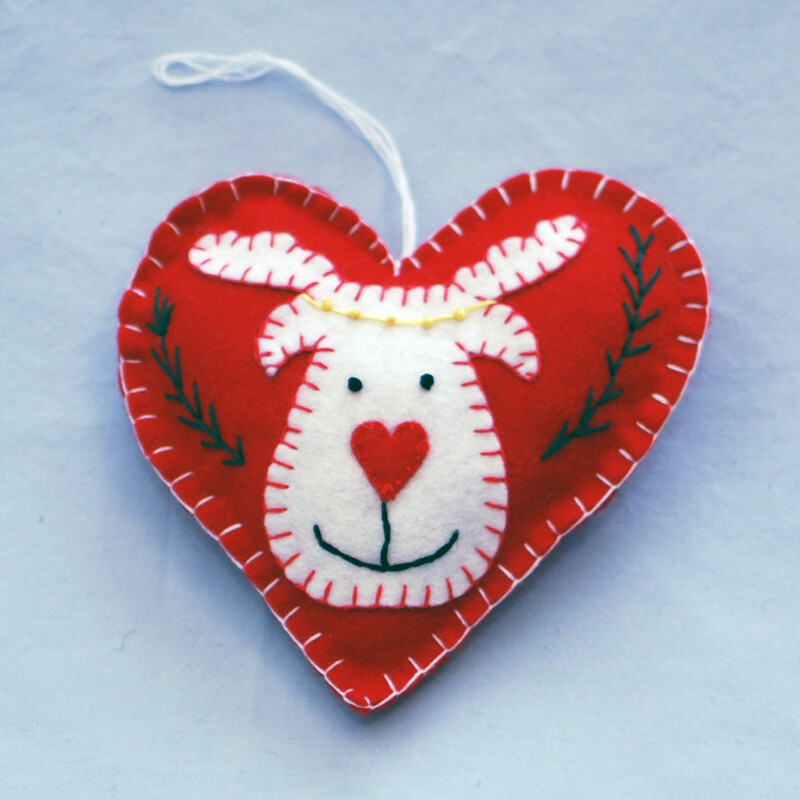 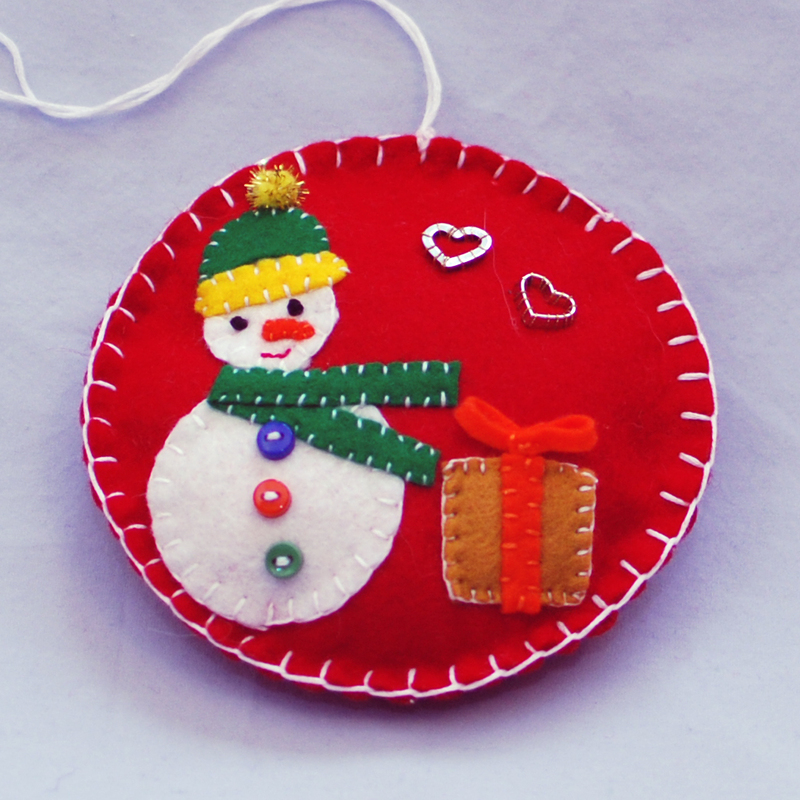 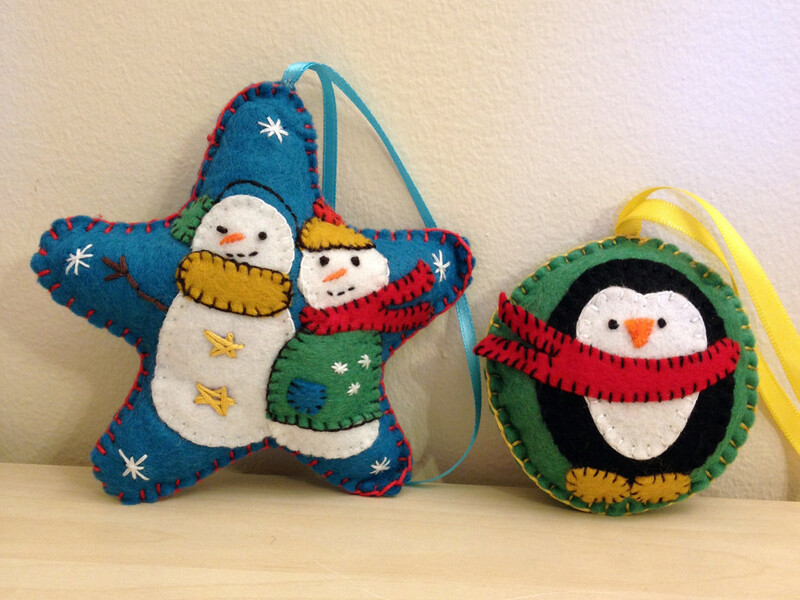 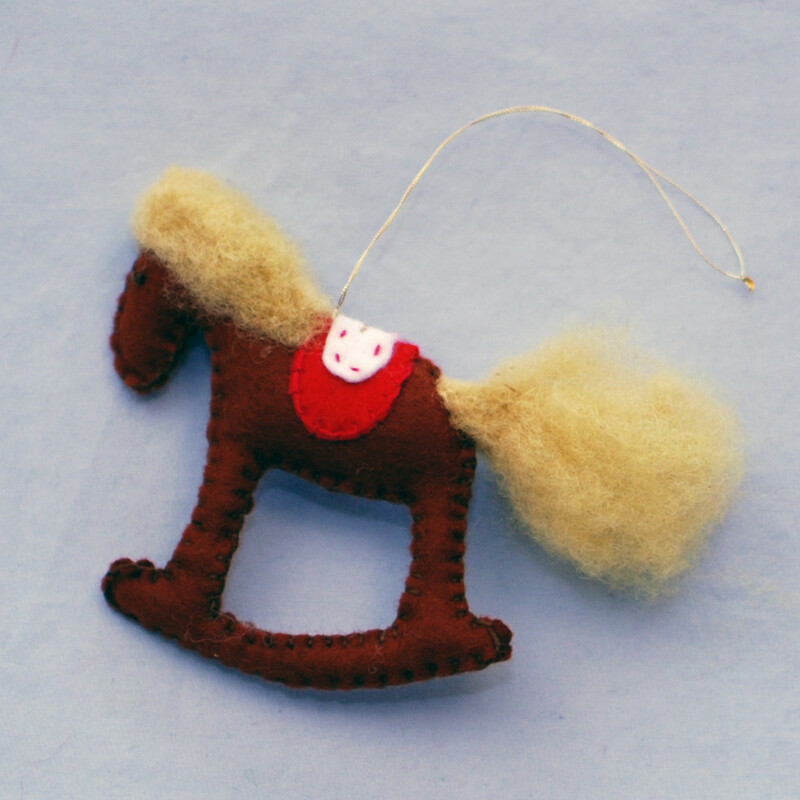 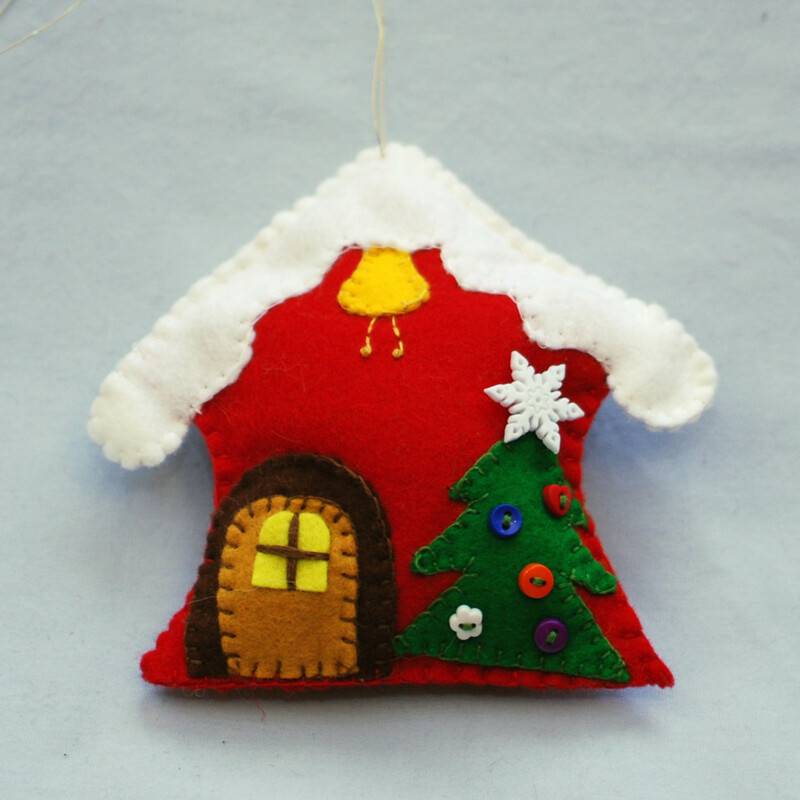 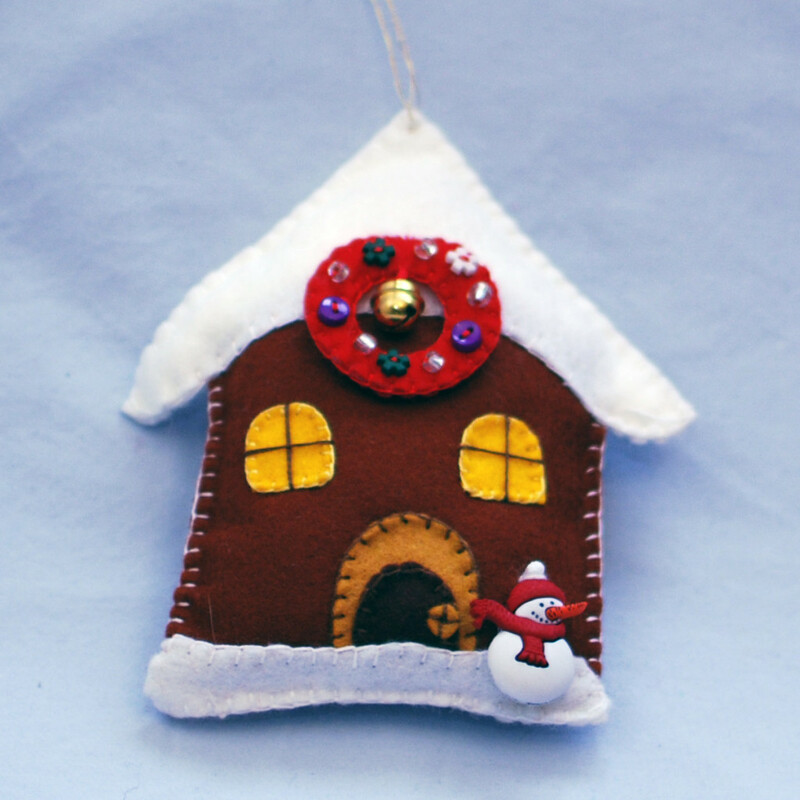 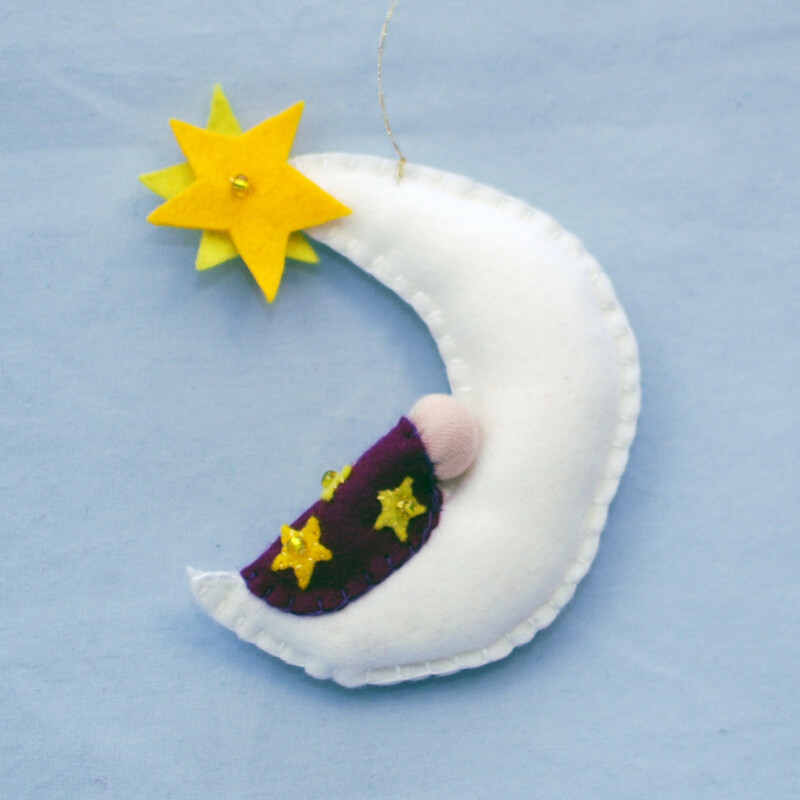 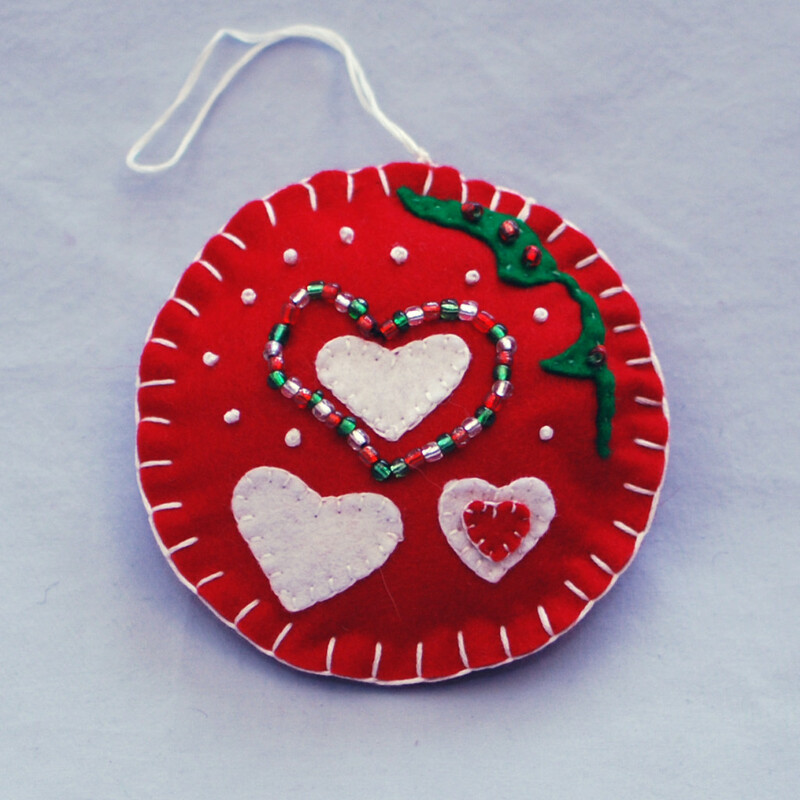 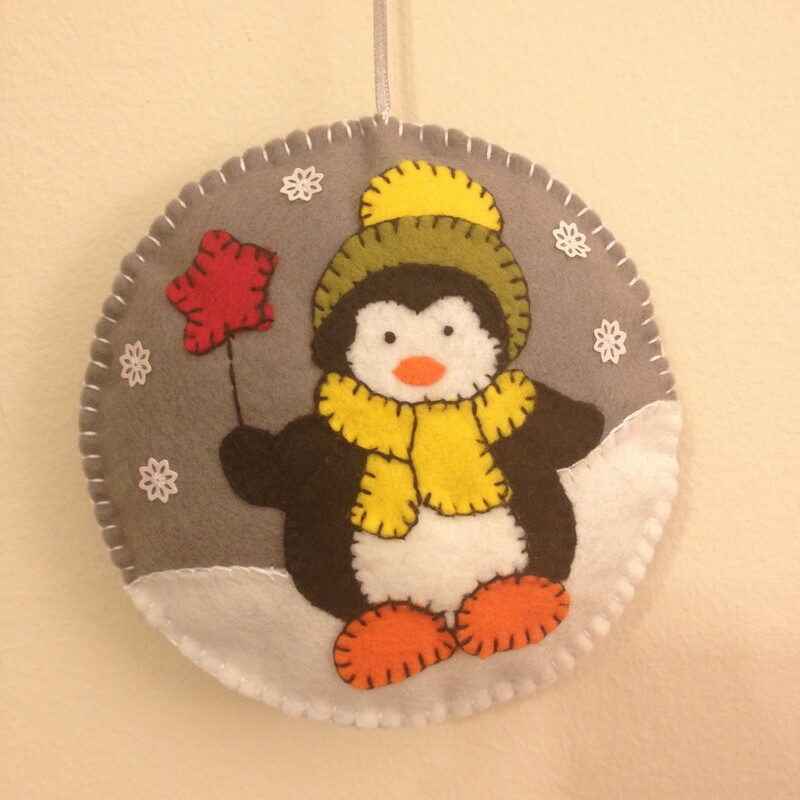 Christmas ornaments from felt. 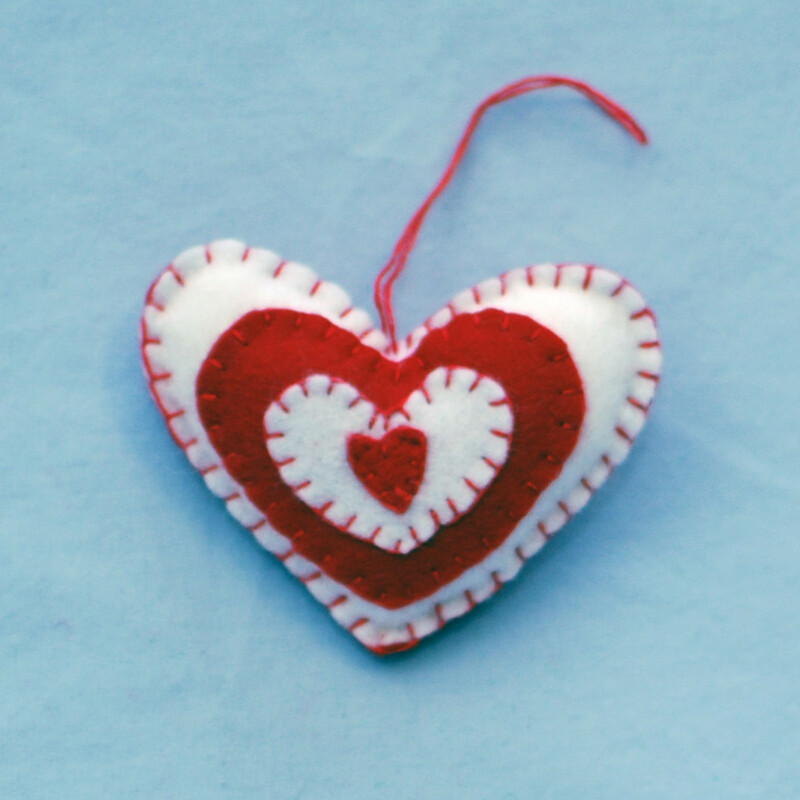 I’ve used some small detail as well occasionally. 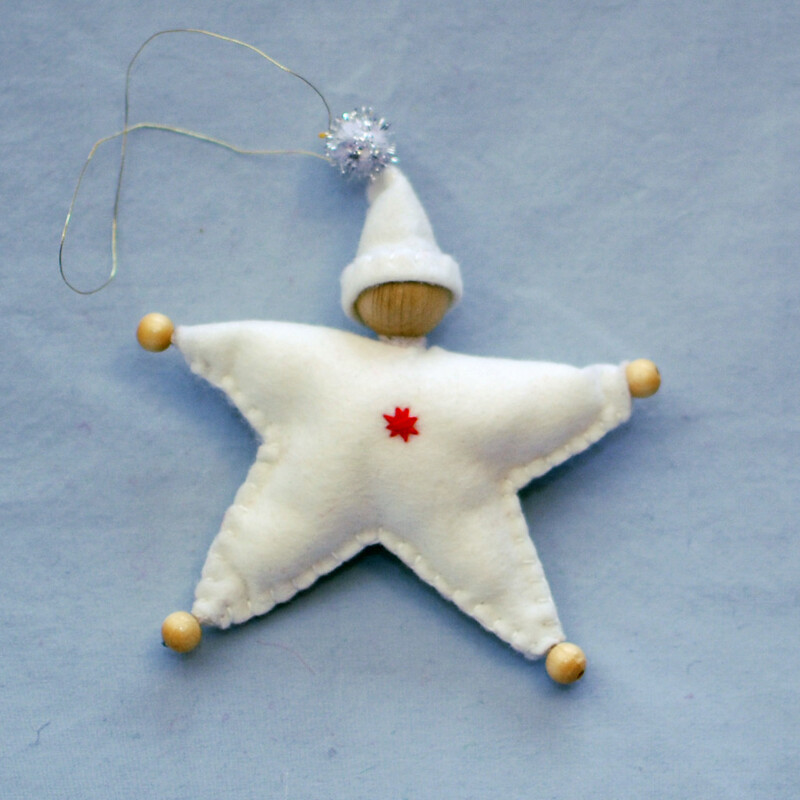 Good for decorating and play. 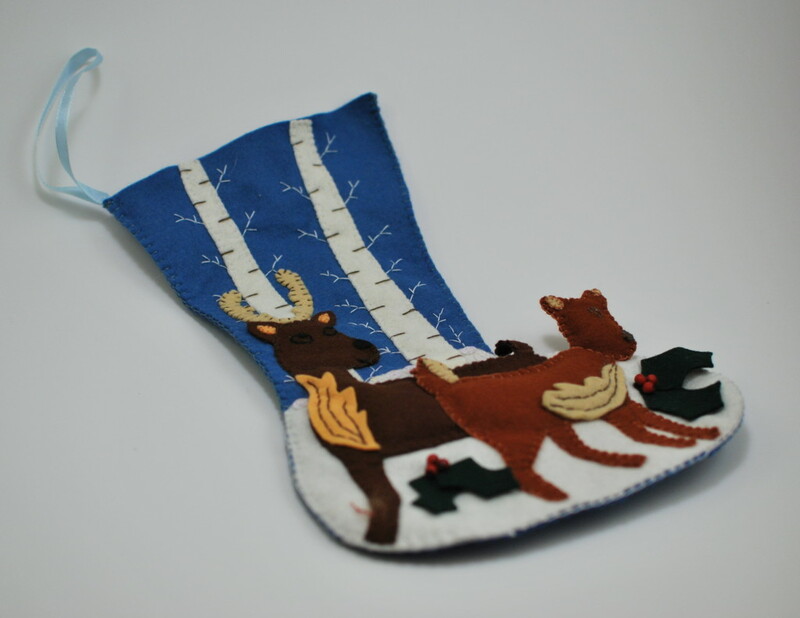 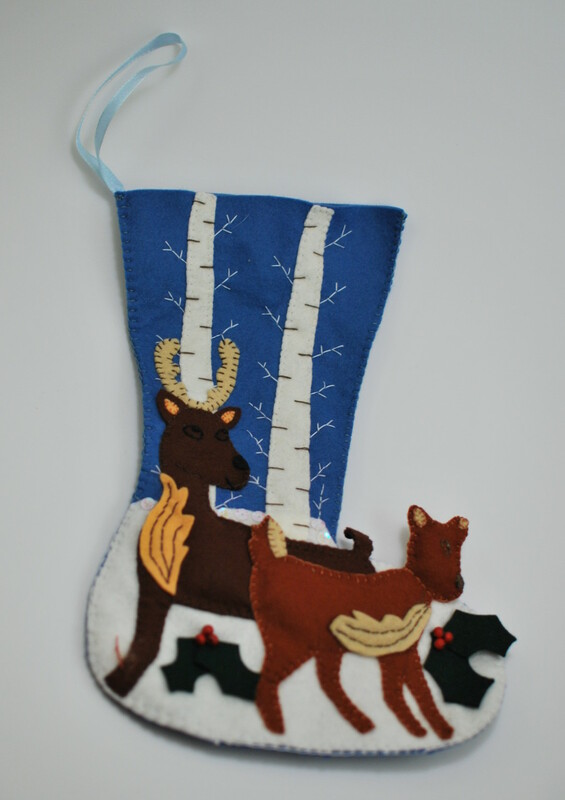 This stocking is about 12″ high. 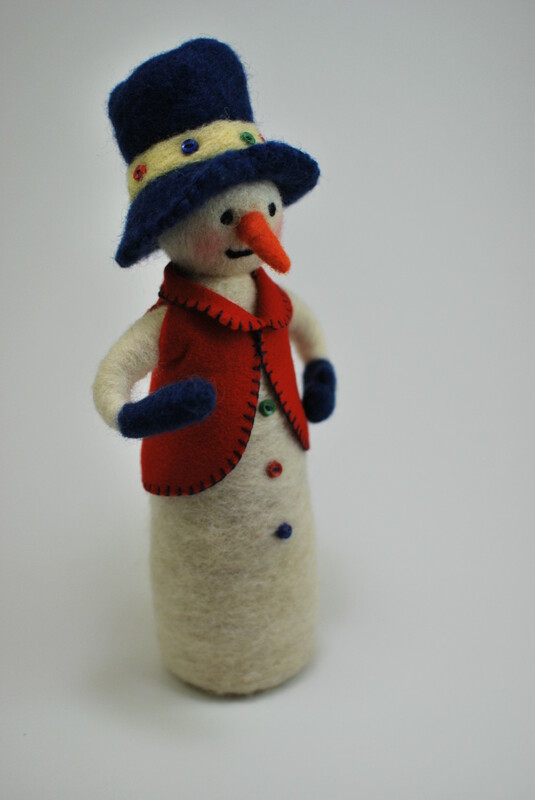 Another needle felted snowman guy. 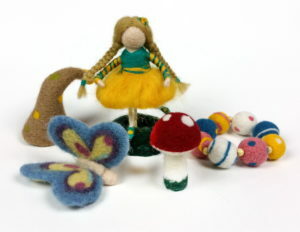 The previous one is posted here. 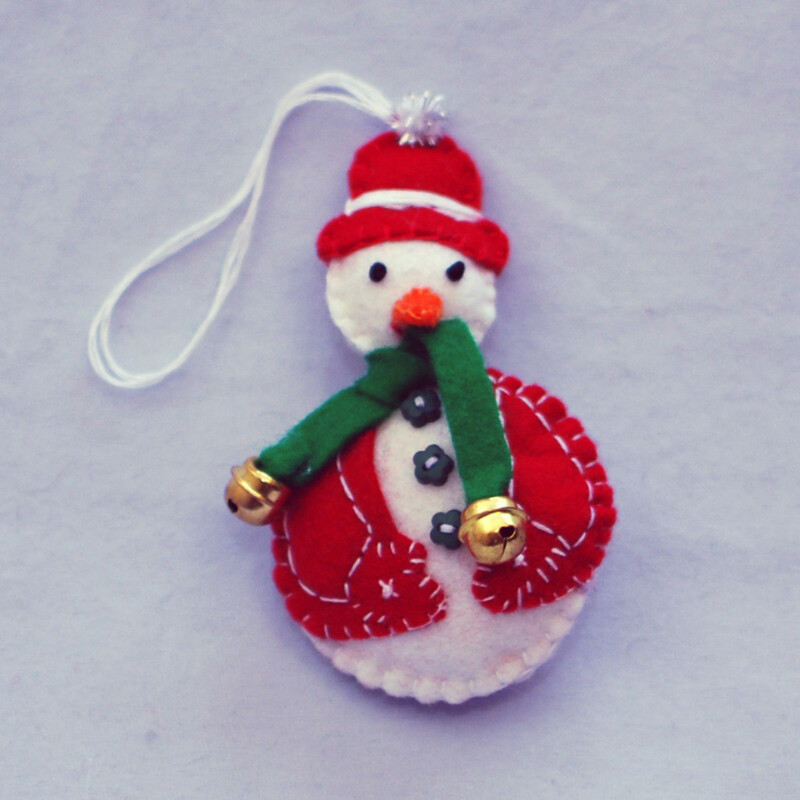 This is one of my first needle felted snow men. 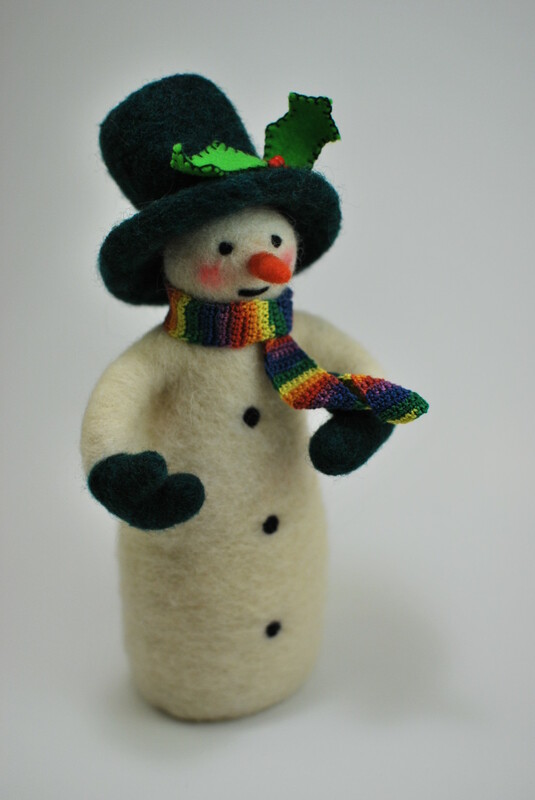 I’ve also crocheted a colorful scarf for this guy. 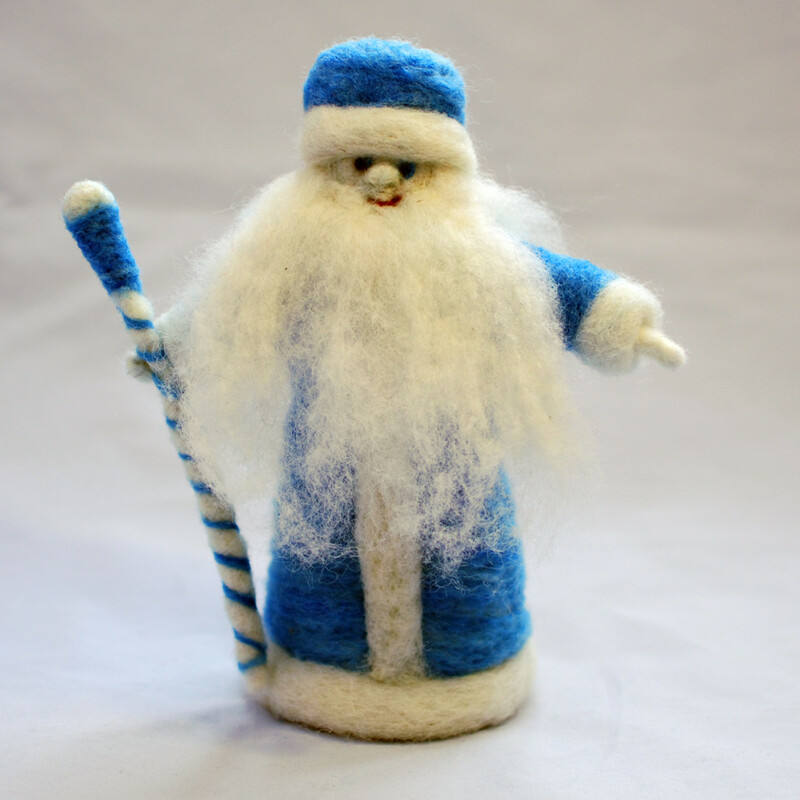 He is about 7″ high. 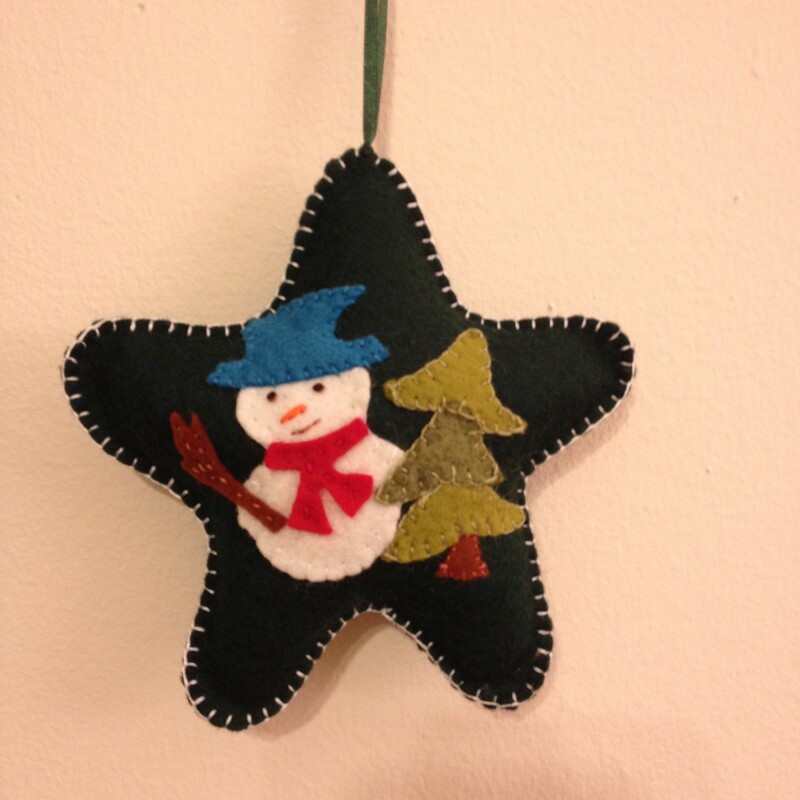 Cute little guy. 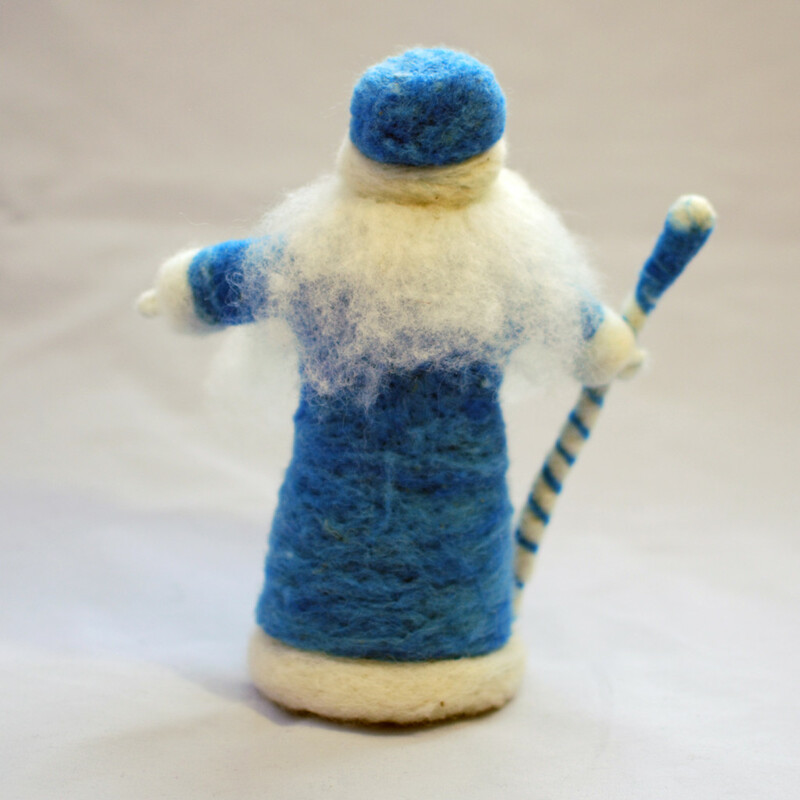 About 7″ high.